hi there! im gonna start this adventure and have some modules i received for free, so i would like some advices to complete it. Will make ambient stuff, and here is what i have for know. Maybe i need to add MATHS? people says that is a must, but for the moment i dont know anything about it. let me know please! thanks a lot. Getting your hands on free gear is awesome. But you're going to need to add a lot more things to make them useful. 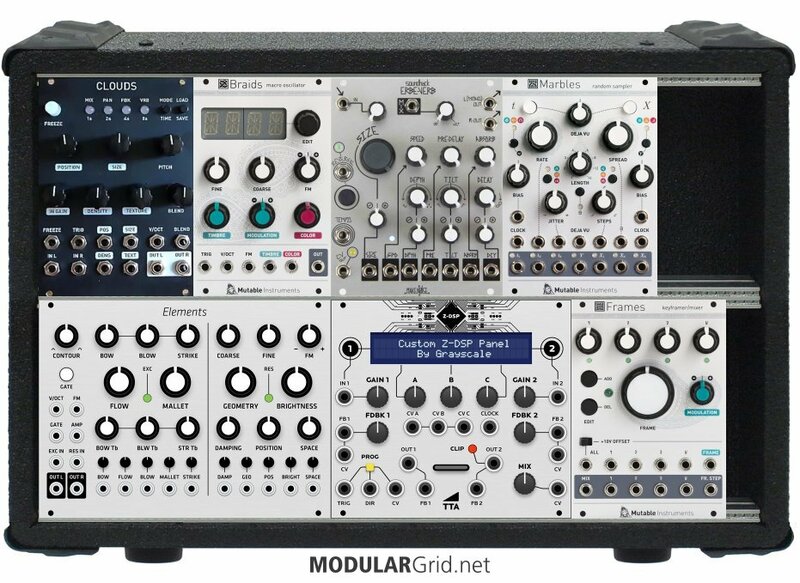 My first thought is that you should get a better understanding of how basic modular modules work. 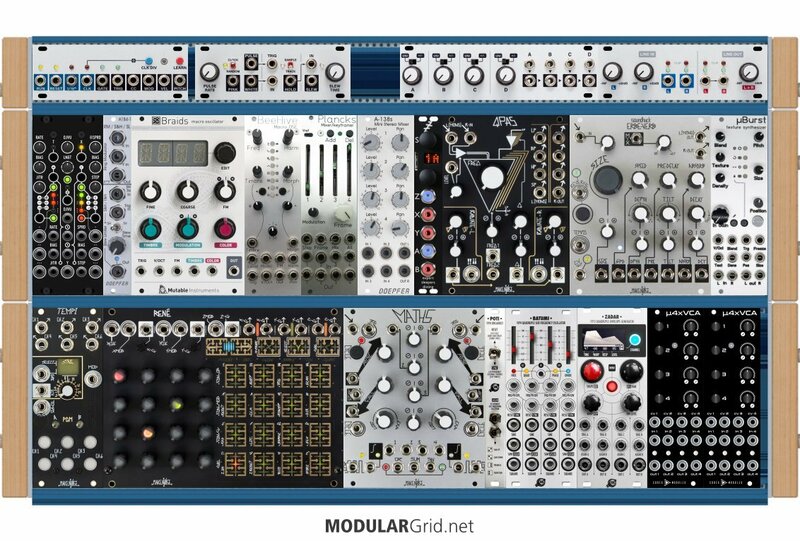 There's a free eurorack simulator known as VCV rack. There's a virtual version of Clouds and Braids in it. You will also find a lot of other modules like VCAs, envelope generators, etc. 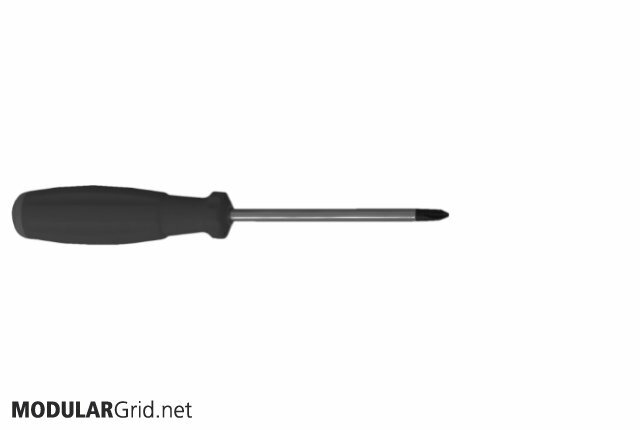 Learn how to build a basic set-up in VCV first. It costs nothing so you can make as many mistakes as you like and experiment recklessly. Get a good understanding of how it works and you'll find that making decisions on which pieces of kit to add to be a lot less daunting. thanks! im going to use my idea of the new setup in that software,maybe it Works. I’m assuming that he modules remaining constant are the ones you have? Adding Rene and Batumi is great, but you need a clock for Rene to work (Tempi or Pamela’s New Workout would do). A filter is great, but look also at QPAS or a state variable filter. You’ll also need an envelope module (Malekko Quad Envelope or XAOC Zadar) and at least one power module. Consider an Intellijel 7U case with Intellijel 1U modules, as you’ll want an audio I/O and some attenuverters. maths can be the clock of Rene? The above build with all of the Renes doesn't strike me as a very well-considered idea. I see no VCAs, for starters, and a lot of the other necessary items are totally missing. If you want this many sequencers, you either need a MUCH bigger cab, or you should just chuck the idea of using sequencers in the synth altogether and get something that's a dedicated sequencer device, such as a KOMA Komplex. Occupying this much room with Renes...especially with what's NOT here...seems like a recipe for an expensive and unusable disaster. Ahhh...yes, this makes way more sense. MG has a weird glitch where you need to make sure your Screenshot view is loading the same way as your actual build before posting anything with the build page's link in it. Probably explains the Rene-laden atrocity that was up previously. OK...this.  Note that some of the modules from your build are missing, most notably the Erbe-verb. I would actually suggest going with either an external FX unit for this (more flexibility) or using some of the Clouds' potential for reverberant-type effects. I also removed the Pam's and went with a Tempi due to the fact that the Rene has the ability to work directly with it for some additional Rene functionality. You'd not have that with the Pam's. Other changes...removed the Bastl VCF (sort of redundant with the QPAS) and the PICO DSP (again, an external FX unit being preferable here). There are also no mults; in this case, having jammed the cab with as much function as possible, I opted for a build that requires inline mult "widgets" or stackcables. In smaller cabs where every hp needs to be pure functionality, those optimize space more than one might suspect. Added: obviously, the Plaits and the second Quad VCA. I also dropped in a Doepfer A-184-1, which gives you a ring modulator, slew limiter, and extra sample & hold in 4 hp. The Plaits and Braids are set up to split the outputs to two channels each of the Doepfer A-138s, which allows you to set up a separate right and left mix for the QPAS's stereo ins. I also added a 2hp MIDI module to allow very basic MIDI control, but more importantly, it also adds clock lockup to MIDI so that your Tempi/Rene combo can run in sync with external MIDI processes. I also put in a PICO OUT, which gives you a stereo output stepdown via a 3.5mm TRS jack, plus a headphone amp. Last added bit, since I had 1 hp left over, was a Konstant Labs power check module...the very best way to use a 1 hp space, I think. This seems more "instrument-like", ultimately. The functionality is a bit dedicated, but within that there's a lot of leeway for sonic complexity. That's not a bad idea, either...you could make use of those new 4ms powered Pods that came out recently. Very cost-effective...the only drawback being module depths, as they only have a 34 mm depth, meaning that anything above 30 mm is going to start getting really tight when you add the ribbons and so on into the mix. in that case ,what other module do you add with erbverb? Nothing specific, really...the Erbe-verb works really nicely with all sorts of modulation sources. Although, you might consider an envelope follower to drive a pair of VCAs at the output; by putting this before the input and using the envelope follower's gate output and some careful settings, you could then obtain a gated reverb by operating the output VCAs with the input's envelope follower. Might not be fittable now, but it's worth keeping in mind. Always educational to see Lugia’s Suggestions. Going for an Intellijel 7U case with the MIDI module, Audio I/O and two Quadratt attenuverters will give you more space that isn’t going into I/O and power modules. The Quad VCA comes in a neat micro version, saving you another couple of HP, as does Plaits (and marbles & Clouds). That way you could fit in some performance modules, such as a Voltage Block or bring back Pam’s. Or, for extra ambient duty, add Plancks, which is a micro-Forms module. Don’t forget about Poti to go with Batumi, which gives access to the jumpers on the back in a more user friendly manner.